Just because it is cold does not mean the fashion has to end there. 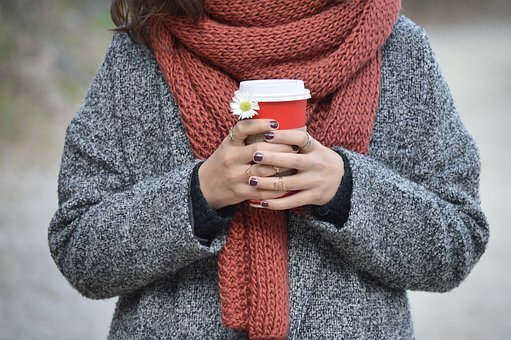 There are many ways to cozy up your style in winter, and they are super easy to find. That’s right, there is a wide range of stylish winter fashion that you can rock even in the snow. From going to out to staying at home, here are 10 cool clothing outlooks that you should have. They are easy to find, and they will keep you warm and fashionable at the same time. If you are looking for the right outfits and accessories for winter, here are some ideas for you. In case you choose to chill at home, don’t forget to add some comfy pajamas in your wardrobe. From night gown to robes and pajama sets, they are all in the list to have for winter. You know what the best feeling is? The best feeling is when you can stay all day in bed in your comfy pj in cool weather. Experience that once, and you will surely love winter just like you love your bed. Walking in the house with style and warmth is super easy when you have a pair of soft and plushy slippers. The feelings of comfort is beyond description which you can tell only when you experience it. There should always be a pair or 2 of slippers at home especially in winter. Plaid shirts aka flannels are the coolest shirt that anyone can rock. You can wear them under the sweaters, tuck into skirt or jeans, or just tie them around your waist. There will be plenty of styles that you can pair and create from plaid shirts. The best colors that you should choose for plaid shirts are maroon, dark blue, black, and dark red. These 4 colors match perfectly with skinny jeans, dresses, and pretty much most outfits. The great thing about puffer coats is that they keep you warm with layers of insulation underneath the coat. When the temperature gets to the extreme level, zip up the coat and you’ll be warm inside. This type of coat is ideal for those who live super cold areas since the coats are thick and wind resistant. There might not be a lot of style to choose, but puffer coats are the best warmth giver in winter. And they are like pillow since they are super soft and comfortable while match great with most outfits. Scarves are something that you cannot miss when winter comes. They are one of the greatest accessories that compliment your outfits and style while providing comfort at the same time. There are many ways that you can tie and style your scarves to match your outfits. A variety of colors and patterns are also available for you to select to match your preference as well. Scarves are one simple accessory that spices up everyone’s fashion. There are many designs of sweater that you can choose from, but beyond basic is the most stylish ones. Knitted sweaters are both warm and stylish to wear which is absolutely awesome to own. There are also many styles and colors available for you as well, and the best 2 are open neck and crewneck. Don’t go for ordinary sweater when you are a fashion lover, chunky and stylish should be your choice. The combination of faux fur, shearling, and fleece make this type of boots super comfy to wear. There are many different designs of winter boots available for you to select, and the choice is definitely all yours. From ankle boots to over the knee boots, the compatibility is high with so many outfits. And guess what, shoes are one of the important things that you cannot miss when it comes to fashion. Pick the right choice, and you will surely enjoy your style in winter. That includes sweatshirts and sweatpants, and you know how comfortable they are if you already own some of them. When you combine them together, their softness and warmth simply keep your comfort all day. Sweatsuit makes simple yet comfy outfit to wear at home especially on cold days which you will surely love to wear. Get a few sets and see if you enjoy them or not. Waterproof boots are perfect choice to have for winter since they are comfy and durable to wear. With such boots, you will be able to walk in the snow and any breeze, and nothing will bother you. Most waterproof boots are made from hard silicone which resist to the surrounding atmosphere. They will keep your feet dry and warm, and you will walking in them all day with both comfort and style. Winter accessories that you have to have are beanies, mittens, earmuffs, socks, and leg warmers. These are the extra accessories that keeps you warm and comfortable both indoor and outdoor. If it is freezing out there, never forget these accessories. And don’t forget to choose the ones that come with style. Pick the classic ones, and you will be to rock your outfit while staying cozy for the whole winter.